Taiwanese LED chip manufacturers that successfully transitioned from blue LEDs to red LEDs have set new revenue records from their budding AlInGaN LED business. 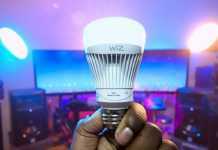 Those that chose to lower blue LED revenue have improved international visibility, which improved manufacturers’ abilities to protect themselves from price competitions. Leading EPI-wafer manufacturer Epistar’s AlInGaP LED revenue share rose to 25% to 30%, and is projected to continue strong growth if AlInGaP LED maintains high order visibility. Manufacturers with even higher AlInGaP LED revenue shares include EPILEDS 50%, and Arima Optics Corporation (AOC), which fully converted all production lines to red LEDs. 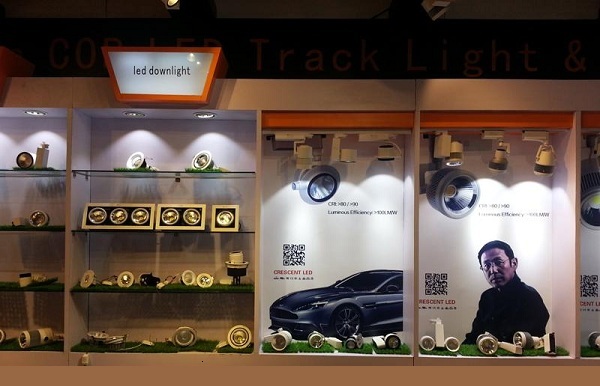 Taiwanese LED manufacturers pointed out there are no Japanese and Korean competitors in the AlInGaP LED market sector, even San’an Opto has few red LED equipment. Yet, AlInGaP LEDs are a niche market that is not volume-centric, and uses a standard spec. One challenge is environmental issues caused from the usage of phosphor and arsenic in IR LED. China will be increasingly stringent in reviewing government subsidy programs, and in theory AlInGaP LED is not listed in the national subsidized projects. Hence, Taiwanese LED manufacturers have better chances of transitioning into the AlInGaP LED field. End market demands for iris recognition in smartphones, night vision, IoT and automated driving take off, AlInGaP LED prices and beam angle will be able to surpass laser, said manufacturers. Micro-LEDs that are still in the incubation period, will be a driver for red LEDs in the long run. Leading manufacturer Epistar’s AlInGaP LED order visibility extended well into fourth quarter, spurred by demands from fine pitch displays, AR, and VR applications. In third quarter of 2016, the company’s AlInGaP LED revenue rose 25% to 30%, and has become the company’s main revenue source. The company’s increased red LED applications can help stabilize Epistar’s overall ASP. Epileds revenue is merely 5% of Epistar’s, but its product portfolio of having few backlight products and early entry in the UV LED sector three to four years ago cushioned it from the impact of low LED pricing. Excluding factors of the Chinese Renminbi’s depreciation of 8%, the company’s ASP curve remained steady. According to statistics compiled by Epileds, blue LEDs make up about 10% of its revenue share, even though it has not entered the backlight market, while AlInGaP LED amounted to 50%. The remaining 40% is green light, violet light and other LEDs, while in the future the company will prioritize UV LEDs with a wavelength below 400 nanometers in the next two to three years. UVA LEDs are used in industrial curing, nail curing, and already comprise a significant revenue share, while water purifiers UVC LED orders are projected to take off in 2017. AOC exited the blue LED industry and fully transitioned into AlInGaP LED, shortly after General Manager Peizhi Wang returned in 2013. The company’s 18 MOCVDs utilization rates have reached 40% to 50%, and are mainly manufacturing AlInGaP LED. Breaking down its revenue shares, Epileds high brightness red LED revenue reached about 31.4%, while ultra-high brightness red LEDs revenue shares peaked to 68.2%, and IR LEDs made up less than 0.4%.